After a successful two-week campaign in the Champions Cup, Leinster coach Leo Cullen will be telling his side that great teams always maintain standards. In the past two weeks Leinster have shown an uncanny ability to change and adapt their game-plan depending on the opposition. Against Castres Leinster negated the French team's physicality by upping the tempo. Playing that way against Glasgow would have been playing into the hosts' hands. Last week Leinster slowed things down, controlled the match tactically and let Glasgow run out of steam. Leinster played to their strengths - their superior set-piece play, physicality and lineout maul. This week the focus is back on the PRO14 in a game (against Ulster tomorrow, 6.30, Kingspan Stadium) that Leinster really want to win. Leinster are third, just behind Ulster in their section of the Pro 14, but Belfast has not been a happy hunting ground for the Blues in recent seasons. Leinster are on a high and will want to take advantage of Ulster's lack of confidence and momentum following their drubbing by La Rochelle last weekend. Leo Cullen will look to use different combinations than for the Champions Cup, with the international window coming up. One player that may not be rested is abrasive flanker Rhys Ruddock. The 16-times capped Irish international seems to thrive on workload, and has probably been Leinster's outstanding player so far this season. Ruddock has been plagued with injuries over the past couple of years, and every time he seemed to be getting back to some sort of form another injury would push him back. This season he has returned, bulkier and more physical. 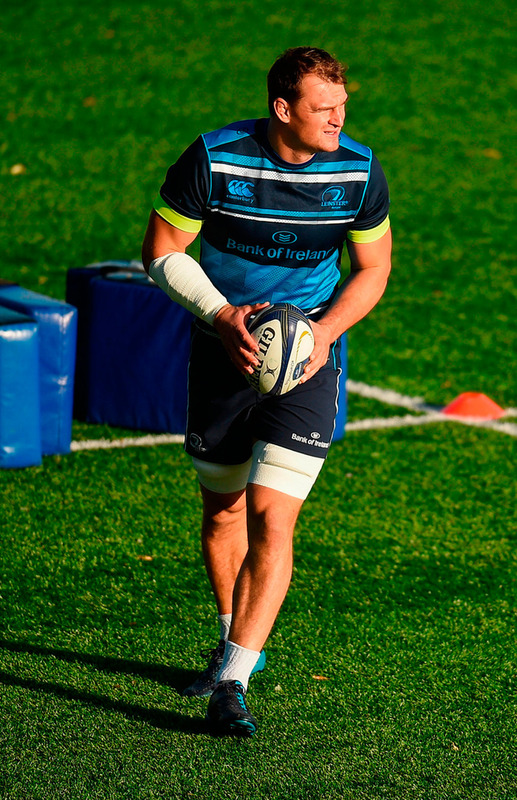 In my opinion, Ruddock is the ultimate team player for Leinster, a player that always volunteers to put his body on the line in the carry and is also strong in defence. Ruddock does the 'donkey work' so others can shine and every team needs a player like that. Ruddock also has a high rugby intelligence. He never seems to lose the ball in contact and invariably does the right thing at the right time. Irish coach Joe Schmidt has a wealth of talent to pick from in all three loose forward positions, and with the likes of Peter O'Mahony and Ulster's Iain Henderson real options in the lineout, then Ruddock still has to keep producing the goods. However, with an autumn series just around the corner against South Africa and Argentina, where big, physical men will be required for trench warfare, then Ruddock will surely feature in Schmidt's plans. Ulster, while starting the Pro 14 season well and with a good win against Wasps at home in the Champions Cup, struggled badly against La Rochelle last weekend where they were bullied off the field. While Ulster have plenty of marquee signings, unlike Leinster they do not have the strength in depth to replace these players. Even this weekend they await injury concerns over trio Christian Lealiifano (fly-half), John Cooney (scrum-half) and Wiehahn Herbst (prop), key men in key positions. In full-back Charles Piutau they have one player that Leinster should not test. Piutau makes more metres on the counter-attack than almost any player in Europe and his speed, footwork and ability to draw defenders before off-loading makes him a dangerous player to kick to. If an exit strategy is required by Leinster outside their '22' the secret is to force the All Black full-back to retrieve the ball rather than run onto it. Piutau is a nightmare to defend against. If you push up too flat or too quick then he has the ability to step. Too slow and deep and he has the speed to get outside almost any defender. But if the kicks are behind him then it restricts his options. This is a game where, given their home record against Leinster and an expected backlash after last week, you may have predicted a home win. But Leinster have a strut in their walk at the moment, and with serious options up front, Leinster have the confidence and players to win this game. Leinster to continue their winning ways.